Do You Need Your Grease Traps Serviced or Cleaned? Our company has been in this business for over 20 years. We take pride in our history and in our continuing growth in the industry. Should you decide to hire us for our services, we will give you the same superior service that has helped us carve a distinguished record in this industry. If you run a school, restaurant, hotel, hospital, or any other large institution, you probably have a commercial-sized kitchen. This kitchen is likely to generate more waste than that generated by the typical home or business. You need to make sure that your grease traps are fully functioning and well-maintained. It is important that you have a grease trap or a grease interceptor. It is also important to hire professional plumbers to check the trap regularly and keep it clean so it can function properly. If you allow your grease trap to be clogged, the waste will go through the trap and accumulate in your sewer pipes. This can lead to problems like limited wastewater flow, congested sewers and drainpipes, and foul smells. It is important not only to install a grease trap, but to make sure that it is well-maintained on a regular basis. Our expert team at Diamondback Plumbing can help you do this safely and efficiently. It is essential for a grease trap to be cleaned on a regular basis. Otherwise, it becomes inefficient. The greasy and oily material in the wastewater from your kitchen will build up, enter your plumbing system and reach and congest the sewer lines. We can do liquid waste pumping to stop grease from building up and causing bigger problems. We dispose of wastes from grease traps at a processing facility duly registered for this task. We transport the waste according to liquid waste disposal regulations established by the state. When you hire us for these services, you are assured that we are doing our job with strict attention to your health and to the environment. We can establish a preventive maintenance program for the business that you are running. This will ensure that your grease trap functions optimally. This will prevent problems of congestion and clogging. Preventive maintenance gives you peace of mind. It keeps problems from escalating into issues that are more serious, complicated, and costly to deal with. People who do not have a ready budget for preventive maintenance may sometime find themselves in an emergency situation. Should you find yourself requiring a plumber’s assistance at short notice, do not hesitate to call us. Our technicians will provide you with high-quality professional work should you find the need for our help. Our client base continues to expand. We have clients from both the commercial and residential sectors in Scottsdale. Experienced Plumbers – Our technicians go through high-level training in plumbing, as well as in HVAC and heating. They are skilled, competent, and highly professional. They work according to high standards of workmanship and dedication to their jobs. Affordable Pricing – We are known for our affordable plumbing rates. We base our professional fees based on what needs to be done and how long it takes to accomplish the job. We do not charge extra for work on weekdays, holidays, or at night. Guaranteed Client Satisfaction – We value our clients. We seek to provide high-level satisfaction and excellent customer service. We seek to live up to stringent standards of excellence. We encourage our clients to give us feedback on areas for improvement. Licensed and Insured Technicians – You can trust us with your plumbing problems. We are licensed and insured to practice trade in this field. We take pride in our team of certified and highly skilled technicians. 24/7 Service – Our schedule is designed to accommodate emergencies. If you have any plumbing problem, you can call us anytime – and get your problem addressed right away. Our technicians are on call 24/7. Feel free to give us a ring anytime. If you need an estimate, we will gladly prepare one for you – and give it to you free of charge. State-of-the-art Equipment – We take pride about our being able to stay on top of the game with skilled technicians and state-of-the-art equipment. 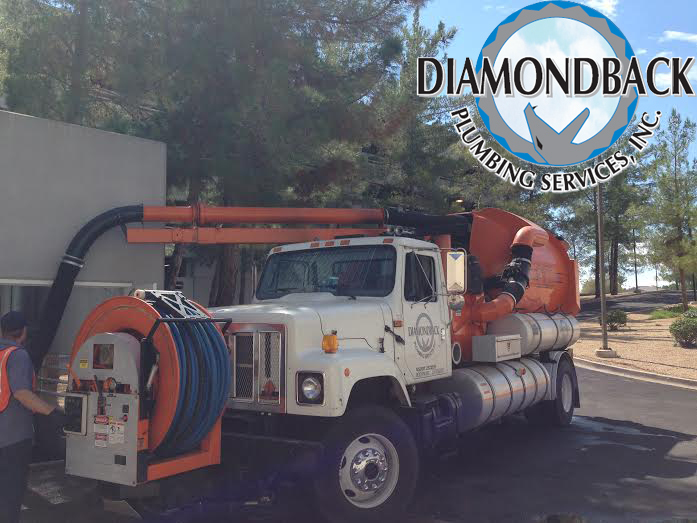 We are considered to be one of the leading plumbing contractors in Scottsdale. We have built a reputation for fine workmanship in this industry. And we intend to a keep that reputation by serving you the best way we can every single time you need us to do a job for you.